Good. Trade paperback (US). Glued binding. 224 p. Penguin Classics. 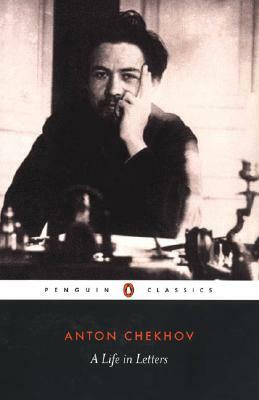 From the teenager in provincial Russia in 1875 to his premature death in Germany in 1904, the author wrote over 4, 500 letters to a range of correspondents, including family and friends, his publisher and fellow writers-not to mention actresses. This book presents these letters which tell the story of the author's life as a man and a writer. Edited and newly translated by Rosamund Bartlett. --Softcover. Condition: very good (spine crease). ISBN 0140449221. New. Trade paperback (US). Glued binding. 224 p. Penguin Classics. In Stock. 100% Money Back Guarantee. Brand New, Perfect Condition, allow 4-14 business days for standard shipping. To Alaska, Hawaii, U.S. protectorate, P.O. box, and APO/FPO addresses allow 4-28 business days for Standard shipping. No expedited shipping. All orders placed with expedited shipping will be cancelled. Over 3, 000, 000 happy customers. Fine. Trade paperback (US). Glued binding. 224 p. Penguin Classics. In Stock. 100% Money Back Guarantee. Brand New, Perfect Condition, allow 4-14 business days for standard shipping. To Alaska, Hawaii, U.S. protectorate, P.O. box, and APO/FPO addresses allow 4-28 business days for Standard shipping. No expedited shipping. All orders placed with expedited shipping will be cancelled. Over 3, 000, 000 happy customers. New. Trade paperback (US). Glued binding. 224 p. Penguin Classics.